In January 93, I was a passenger in a car driving on the freeway from Provo, Utah to Las Vegas. The world was brighter than it would typically be at 3:00 a.m. because of the snow. 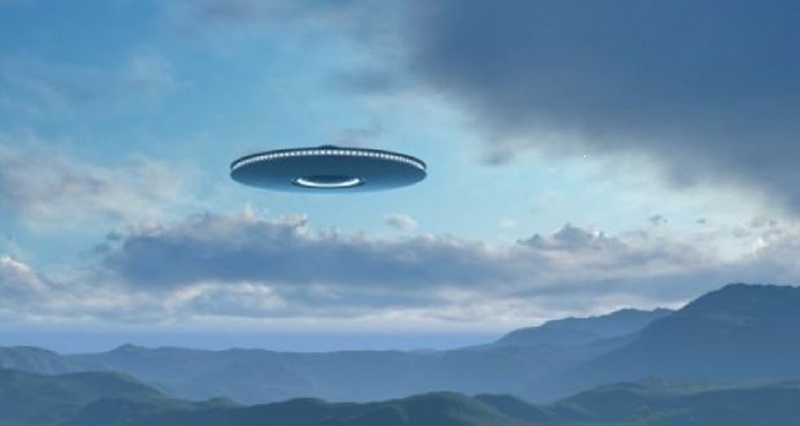 We were driving just north of Fillmore, Utah headed south, when my friend and my aunt said “what are those?” I looked up to see several circular shaped objects casting a red glow zipping around playfully over the mountain range. They moved playfully like nothing I have ever seen before. They did flips and twists like they were living things. It was really weird and fascinating to watch. They were mimicking each other. One craft would do a twist or a circle and two seconds after it started a second craft would follow and do the exact same trick. There were three or over each mountain range to the west and to the east of the freeway. If I were making this story up and would not make it so fantastical because I know how crazy it sounds to say there were multiple crafts over two different mountains on either side of me, but truth is stranger than fiction in this case. I don’t remember how it got there, but all of a sudden hovering in complete silence, yet staying with us as we drove 65 mph was a massive draft (about the side of three humpback whales) around 50 ft. from us just floating or hovering effortlessly over the other side of the freeway maybe 20 feet above ground. I felt like it was playing or showing off for us. I felt zero fear whatsoever and actually felt bizarrely peaceful and calm. The craft sped along with us silently and effortlessly for about one minute before it started spinning fast just like a top and zipped directly up into the sky. I watched it then make a zip left just before it left my view altogether. I saw this thing very plainly and very close. There is no mistaking. I don’t remember if it was more of dull chrome or a shinier silver material, but it had square panels of different colored lights all around the middle that I am sure of. It was circular but also sort of diamond shaped definitely not a true circle. I reported this experience in Las Vegas the next day to a company I found in the phone book, Nautilus, I think it was called but I haven’t reported it anywhere else until now. NOTE: The above image is CGI. This entry was posted in ABDUCTION, best ufo photos, incredible ufo photos, MISSING TIME, top ufo news, UFO, UFO ARTICLES, ufo news, ufo photos, Uncategorized and tagged 1-10-93 FILLMORE UTAH UFO DISC, ABDUCTION, ALIEN CRAFT, ALIEN CRAFT LANDING, ALIEN CRAFT PHOTO, ALIEN ENTITY, ALIEN IMAGE, ALIEN IMPLANTS, ALIEN PHOTO, ALIEN PICTURE, AMAZING UFO PHOTO, BEST UFO PHOTO, best ufo photos, CAMERA CAPTURE UFO, CIRCLE LIGHTS UFO, close encounter, CLOSE ENCOUNTER TENNESSEE, CLOSE ENCOUNTER UFO PHOTO, DISC, FLYING SAUCER, HIGH STRANGENESS, HUMANOID, incredible ufo photos, JANUARY 10. 1993 FILL MORE UTAH UFO DISC, KEN PFEIFER UFOLOGIST, light photo, MISSING TIME, saucer, SPACESHIP UFO, top ufo news, ufo, UFO ARTICLES, UFO LANDINGS, ufo news, ufo photos, Uncategorized | Tagged ABDUCTION, UTAH UFO DISC, WORLD UFO PHOTOS, world ufo photos and news by KEN PFEIFER. Bookmark the permalink.